Here we deal with XANA, essentially from the point of view found in Code Lyoko Evolution. The program comes back with a vengeance... And it's the same...but different. Having no reason to dedicate an independent section to it, this page will allow you to discover XANA 2.0. "XANA is nothing like a game! XANA is an artificial intelligence that wants to take control of the network. (...) XANA is going out of control, he's ready for anything!" XANA's nature isn't really addressed in Code Lyoko Evolution. Outside of the quote below, released in a teaser, the Evolution writers didn't really come back to XANA's identity as it was largely built on in the animated series. As a consequence, if you've arrived directly on this page without going through the first parts of the section, we invite you to simply read the first page of the section which describes XANA in detail, with some allusions to Code Lyoko Evolution. As for the connoisseurs of the series, we've noted that there isn't an obvious difference between the natures of XANA in season 4 and XANA 2.0 in Evolution. Its objectives seem to be the same. It just needs a new attack strategy to succeed. "They are codes... Source codes, to be exact. Belonging to XANA. The moment we thought we destroyed XANA, he injected these codes into you. (...) and I wonder if he's sending spectres to recover them." At the end of the animated series, XANA was at the peak of its power. It was present throughout the global Network. With Franz Hopper's help, the heroes were able to concoct a program that tracked it down in the Network and destroyed all trace of it and the Replikas (virtual worlds) it created. Thus, the heroes thought they had destroyed XANA for good. Several months afterwards, the heroes realised that XANA had survived. Indeed, the program found refuge in a place the heroes' multi-agent program hadn't flushed out: the Supercomputer generating the Cortex. It was probably the only Supercomputer that XANA didn't have complete control over. Although based on the same model as Franz Hopper's Supercomputer, its protection systems are certainly far superior to the original. This Virtual World was therefore not labelled as belonging to XANA, like its Replikas. This can explain why the multi-agent program didn't destroy it. The result is that XANA is hugely weakened. And a sad irony: it returned to its starting point. In season 1, it was trapped in the heroes' Supercomputer. Now, it's trapped in Tyron's. It can no longer spread into the global Network. We also note that Tyron didn't know about the program's presence on his Supercomputer. XANA is weakened, or bruised. This translates into several points. Firstly, its first appearances were feared. The symptoms of its return to Kadic (electric faults, exploding cables) are greatly reminiscent of the weakness of attacks in the Prequel. We can also notice that its spectres, which became more and more formidable in the cartoon, are a little softer in Evolution (slow-moving, etc.). However, taking refuge in the Cortex wasn't only mean trick that helped XANA to survive. Sensing its end was near, XANA gave source codes to each of the heroes (Aelita, Odd, Ulrich & Yumi). These codes are part of it and a fragment of its lost power. In getting them back, it gets the possibility of escaping the Cortex and spreading back into the Network. The artificial intelligence develops a strategy to collect its source codes using its spectres (see below). XANA gradually recovers its power. 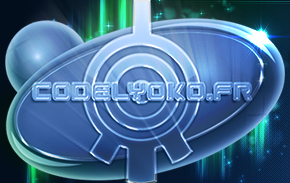 To see the different stages in detail, consult the topic Story - Code Lyoko Evolution or the Episode Guide. We have to admit that infamous rise in power which should benefit XANA as it recovers codes was patchy. On Earth, spectres seemed to gain some improvements (development of special powers, moving faster, vocal capacity) but this varied during the episodes. Its attacks on Earth were very weak in comparison to in the past. In the Virtual World, on the other hand, it's the opposite. XANA outdoes itself when it comes to strategies, scheming and devastating phenomena to throw a wrench in the heroes' work... It even seemed to reach a power level it had never revealed in previous adventures. Against all odds, XANA gradually increased from 75% to 95% of its power (episode 25 “Massacre”). Unfortunately, its momentum came brutally to a halt. Indeed, the heroes diligently worked on a virus that would destroy the Cortex, its Supercomputer...and XANA along with them. The teens aim to implant the virus in the Cortex...but Tyron switched off his machine so that he wouldn't lose all his work (episode 26 “Ultimate Mission”). So, XANA is on stand-by at the end of these events. At the height of its power but yet confined in Tyron's Supercomputer...which was switched off, driving XANA into a forced inactive sleep...until someone restarts the machine and counters the virus. "It's not William, it's a spectre!" 1) What is an attack? "It's a dangerous program. Kinda like a computer virus that can control electricity. It gains access to our world by activating towers on Lyoko." Like all programs, XANA acts on a computer, but not a classic computer since we're talking about Franz Hopper and Tyron's Supercomputers... In other words, probably the two most powerful in the world! Both of these Supercomputers generate a Virtual World (Lyoko and the Cortex respectively). In these virtual worlds, we find Towers. These are data banks that probe the Net...and that especially connect Virtual Worlds to Earth's global network. So it's by activating these towers that users (whether a human like Jeremy or a program like XANA) can act in the real world. A XANA attack is result of a tower activation on a virtual world, whose power XANA will use to deploy electrical and technological phenomena. "XANA's managed to hack into the phone network." "I guess attacking us with its spectres isn't enough for this thing." Before, XANA had a vast range of possible attacks on Earth. But that was before. Since its loss against the multi-agent program, XANA has just one main objective. It's done with exterminating the heroes, tracking Franz Hopper or enslaving humanity. Its unique goal is to collect its source codes. But to do this, XANA only has one option: use its spectres. They alone can track down the heroes, absorb their codes and return them to their true owner. XANA's main attack strategy, in Evolution, is thus the use of spectres. Firstly, the program has the element of surprise. The heroes can't know who the spectre is, or when it will go on the attack, giving them a big disadvantage. However the Superscan, which alerts them to activated towers, when connected to an identification program, enables Jeremy and Laura to identify the spectre's appearance, to compensate. Note, however, that XANA plays ith the element of surprise a lot: many spectres took the appearance of people who were close to heroes, or one of the heroes, or some people at Kadic Academy (except episodes 15 and 19). Afterwards, XANA prefers to go for isolated targets: a lone Lyoko Warrior in a deserted place. This is why Odd lost all his codes the first time (episode 15 “The Codeless”). It's also how Yumi deceived a spectre (episode 19 “The Trap”). Finally, XANA also did some manipulation using a spectre that looked like Aelita's mother in episode 11 “Rendezvous”. The creature manipulated the girl by imitating her mother's behaviour and speech. All that's left is the rare other attacks XANA launched. Firstly, note that it sometimes uses minor technical faults to strengthen its main attack. Also in episode 11, it sends Aelita a message allegedly signed by her mother to lure her to a meeting where the spectre is waiting. XANA used tree other types of attack. First, in episode 05 “Rivalry”, it hacks the telephone network. It thus renders all the heroes' phones unusable, blocking any communication between them. However, the attack's purpose remains unknown as no other anomalies occurred around it. In episode 13 “Friday the 13th”, the heroes are again manipulated by XANA. This attack is aimed at the lottery, making it completely buggy, multiplying the winners across Europe. The heroes deactivate the tower and discover too late that the lottery attack was just a diversion to keep the heroes busy while XANA dealt a heavy blow to the Skidbladnir with a virus. Next in the story? Look further down! "This thing is a little experiment to show you how easy prey you are... And that the codeless must protect the coded. (...) The codeless, that's William, Jeremy and me. The three others are the coded. The ones who still have codes left. Ulrich, Aelita, Yumi. You're all XANA's main targets." In view of the little attacks that XANA deploys in Code Lyoko Evolution, the targets became incredibly clear. The principle targets are the coded, which are Odd, Ulrich, Yumi and Aelita. They are continuously in the spectres' sights. In the end, the most surprising thing wasn't the targets XANA chose, but what it didn't choose to target. Indeed, the program always used roundabout ways to achieve its goals. However, during all the code tracking episodes, it never attacks Laura or Jeremy, as it did in the past, to get rid of its two most dangerous rivals. It's the same thing with William who is, in the virtual world, a considerable enemy to XANA. It never tried to destroy the heroes' Supercomputer. Without their machine, the heroes would have been powerless against an attack launched from a Cortex tower. Indeed, XANA could have tried to eliminate Tyron and his team, in order to take full control of the Cortex Supercomputer. That would have reproduced the plan the program used in the past when it created its Replikas. This strategy would have been more successful if Tyron had, involuntarily, thrown a wrench into XANA's works in episode 16 “Confusion” with a Cortex update. Moreover, Tyron has no way to deactivate a tower activated by XANA. In conclusion, we can say that, though it has increased of cleverness in the past, the weakened XANA in the Cortex was less innovative and particularly confined to its one objective of collecting source codes, while there may have been other methods to explore. Now let's look at XANA's influence on the virtual world. It must be noted first that XANA seems less limited in the Cortex than it was in Lyoko before. Indeed, though confined in Tyron's Supercomputer, XANA can still activate towers on Lyoko and send its monsters there or act on the Network. So what is our artificial intelligence scheming? "Jeremy? Vacation's over, I've been spotted." The good old Code Lyoko recipe doesn't change: to attack, XANA uses towers. 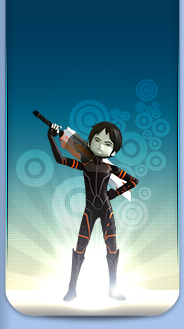 And to counter the attack, the heroes must dive in and enter the code Lyoko. XANA's usual objective is therefore to defend the towers with its different monsters. XANA also protects two other zones: the Cortex and its access channel: the global Network. The program knows the heroes' goals in the virtual world it found refuge in. So, it tries to block the heroes' path through the Network with underwater monsters...or chases them out of the Cortex with its usual ones. To do that, it can target the virtualised heroes directly or their vehicles: the Skidbladnir in the Network and the Megapod in the Cortex. This can move the monsters XANA boost with special abilities to a higher level. From the devastating, almost indestructible Blok wall (episode 7 “Countdown”) to the invisible Tarantula (episode 05 “Rivalry”) or even Kankrelats that duplicate themselves when they're destroyed (episode 23 “Jeremy's Blues”). Monsters that were once simple obstacles for the heroes quickly became insurmountable barriers. XANA also shows its ability to use many more virtual humanoid fighters than in the past. The heroes' clones are formidable as they possess the heroes' powers and fight much better than monsters. At one point we see a clone of William (episode 15 “The Codeless”) and later many doppelgängers (episode 21 “False Pretences”). Before, XANA needed towers or a scanner to virtualise a humanoid avatar. Now, this seems to no longer be the case. Finally, let's note that with XANA's rise in power, the monsters seem to become more and more dangerous. The best example is the Mantas (episode 18 “Tenacity”) who become capable of exiting virtual worlds to dive into the Network and attack the Skid. Less obvious but not merely trivial: the monsters' fire power. They seem a lot better at defending themselves in physical combat than in the past, especially Krabs, which strike Ulrich and William with their legs several times (episode 19 “The Trap” & episode 22 “Mutiny”). The same goes for their lasers, the heroes are one-hitted more and more frequently. "Look, the tower is activating and deactivating." The area in which XANA has progressed is the usage of various virtual phenomena. Obviously, the program had already used different special effects in the past (sand tornado, tower mirage, etc....). However, these shows of XANA's power in the virtual world remained extremely timely and rare. Since its return, the artificial intelligence has used many virtual tricks to counter the heroes. Sometimes it acts to defend towers. In episode 11 “Rendezvous”, the program developed a clever system in which two towers were activated and deactivated alternately to generate the one spectre. Entering and deactivating the towers had to be done at the same time; the heroes spent a long time figuring out how to deal with this nuisance. XANA targeted the Skidbladnir twice. The first time was in episode 13 “Friday the 13th” in which it infected the submarine with a virus...which was countered by the heroes just in time. In episode 23 “Jeremy's Blues”, it shows to be more violent and treacherous. It lures the heroes into the Network using a hub, thanks to Franz Hopper's electronic signature. Arriving there, the Skidbladnir fell into a trapped. It was immobilised and destroyed by the hub's protection system, under XANA's control. Using the Skidbladnir as a relay, the artificial intelligence got into the Holomap and Superscan, disabling them. Finally, note that XANA sometimes attacks the heroes in more distinct ways. In episode 19 “The Trap”, XANA used virtualised spectre residue to stop the heroes and throw them into the Digital Sea. William seems to be one of its favourite targets... Old habits die hard. It tries to recover him twice. With the help of the Scyphozoa in episode 22 “Mutiny” as well as in episode 15 “The Codeless”, in which it uses a William clone to manipulate him and try to entice him into joining XANA's side once again. To conclude, XANA can also need to act in an emergency, like in episode 16 “Confusion”. During this typical mission, the heroes discover that Tyron is - involuntarily - blocking XANA's ability to launch attacks with a Cortex system update. XANA has no choice but to attack the Cortex's Core Room, fighting the Ninjas. It fails because of the heroes but its ability to activate towers is later restored. In the end, this new version of XANA is a little difficult to understand. Its capacity for acting on Earth seems weakened (less varied attacks, clearly inferior strategy) but strengthened on Lyoko (more powerful monsters, special or more powerful attacks). Of course, aside from the storyline, budget constraints linked to the adaptation of Code Lyoko into a live action series self-explained these differences between the real and virtual worlds. The season ends with a XANA who has only been temporarily stopped.